On this day in 1983 Meier Suchowlański would pass away at the age of 80 from lung cancer, at his Miami Beach home. Meier Suchowlański who was better known to us as The Mob’s Accountant, Meyer Lansky, was an influential and instrumental part of the Mafia who along with Lucky Luciano helped form and then develop the National Crime Syndicate. Despite being Jewish Meyer had considerable influence and strength with the Italian-American Mafia and was never found guilty of anything more than illegal gambling. During his active years he helped develop the mobs gambling empire and was the brain behind many of its decisions. 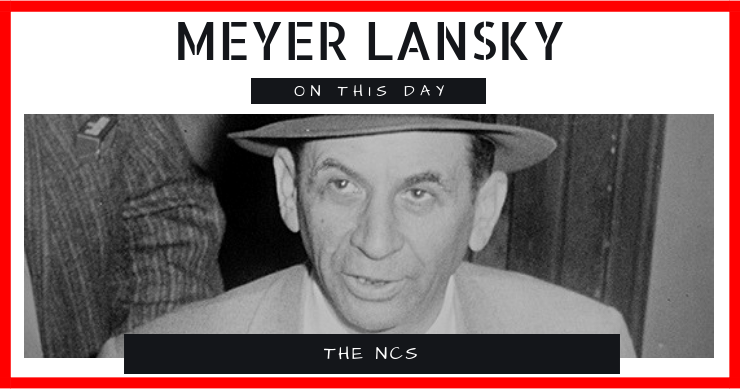 Meyer Lansky had established gambling operations in Florida, New Orleans, and Cuba, and upon Lucky Luciano’s release from prison after his helping hand in World War II efforts he secretly headed to Cuba (rather than Sicily which was the condition he was given for parole). It was in Cuba that Lansky and Luciano ran casinos with the sanction of the Cuban president Batista. Batista was closely acquainted to Meyer and formed a strong business relationship that would go on to last for a decade. The deal the president had with the Mafia was a mutual agreement that in exchange for kickbacks, Batista would offer Lansky and the Mafia control of Havana’s racetracks and casinos. By 1946 Lansky was heading up all gambling operations in Cuba, and what would follow was the Havana Conference towards the end of December that same year which was held to share Meyer Lansky’s vision of a new Havana, profitable for those willing to invest the right sum of money. 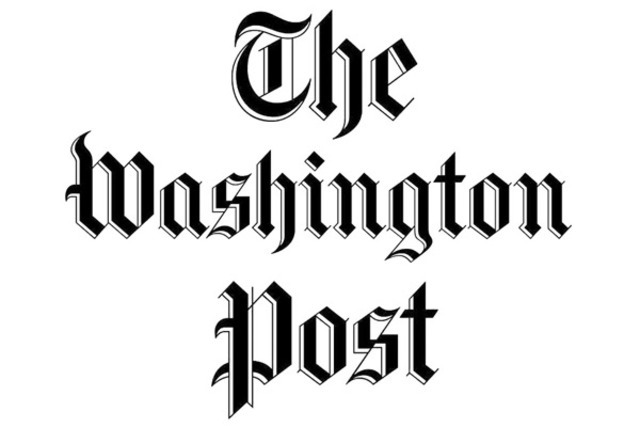 The summit was the first full-scale meeting of American underworld leaders since the Chicago meeting in 1932 (this was the meeting that was held after the death of Sal Maranzano to replace the old Sicilian Mafia regime of “boss of all bosses” and establish a rule of consensus among the crime families). 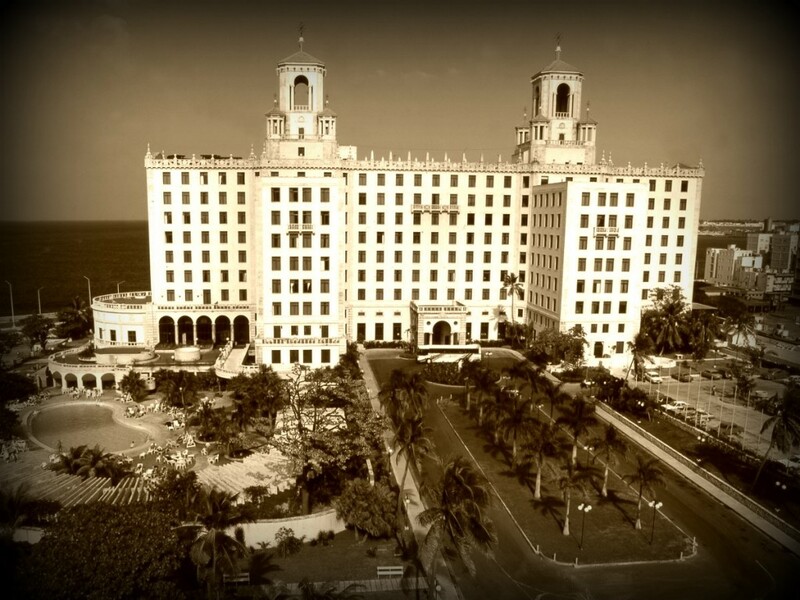 Over the following decade new hotels, nightclubs and casinos were built in Cuba, including a casino that was built in the Hotel Nacional that was opened for gambling in 1955 (the hotel where the Havana Conference was held 11 years previous). By 1959 the mobs presence and authority in Cuba would come crumbling down when Fidel Castro took power. The year after in 1960, Castro had closed down all casinos and outlawed gambling which would see the end to the Mafia in Cuba. 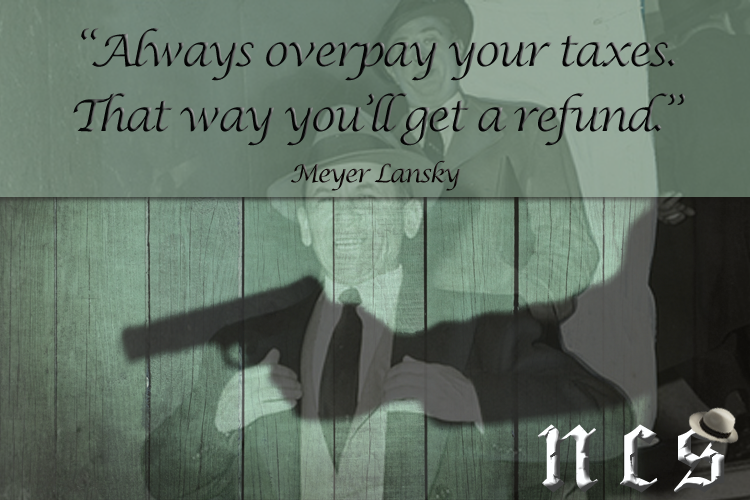 You have probably all seen the news clip of Meyer Lansky talking on Israeli TV, if you haven’t we have the video below for you. 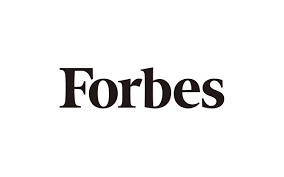 It was in 1970 that Meyer arrived in Herzliya Pituah in an effort to escape tax evasion charges. He stayed in the country for two years until 1972 when the US were finally able to deport him back where he would face trial. However, due to lack of evidence and informants with little credibility the Mob’s financial brain was eventually acquitted in 1974. From 1974 until his death in 1983 the Mobs accountant spent them quietly in his Miami home where he would pass away from lung cancer at the age of 80. The FBI believed that he has hidden over $300 million in various bank accounts offshore but this money was never recovered, or was it? We will let you decide on that one; after all he was the most successful mobster in terms of finances in the history of the American Mafia.